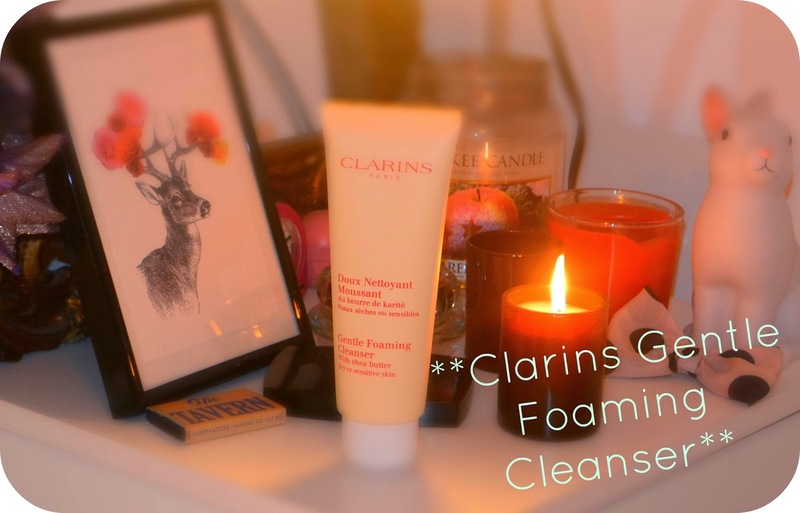 My skin suffers during the winter time, it gets dry, a little sore and generally just needs a little extra loving to keep it looking and feeling normal, I was bought this Clarins Gentle Foaming Cleanser (for Dry and Sensitive skin) as a Christmas present and it's become my saviour, not only is my skin suffering from the cold, damp weather but I went on holiday recently and forgot my usual cleanser and rather than repurchasing one that I know and trust, I foolishly decided to experiment with this Loreal Skin Perfection Purifying Gel Wash, which turned out to be a complete nightmare and caused my skin to break out and also flared up a case of eczema on my cheek so I won't be repurchasing that one but my skin needed some that was soothing and moisturising to help heal it. I tend to be drawn to cleansers that have a specific purpose such as Clay, purifying or calming cleansers rather than going for simple cleansers like this Clarins one, I'm so pleased that this was purchased for me though as it really is a bit of a wonder, it's super moisturising without being irritating and does an amazing job of taking off all of my makeup, I mentioned the Laura Mercier Caviar sticks here before and how long lasting they are, but they are so tough to take off, I normally use the Loreal Skin Perfection Micellar Water but they just don't seem to budge with it, this however does an amazing job of getting all traces of mascara, eyeliner and eye shadow off without having to rub too much at the eyes. The formula contains Shea Butter which adds to the moisturising element and leaves skin feeling incredibly soft after using. The tiniest amount (I use about a 50p coins worth) is enough to cover the whole face and while this is foaming, it isn't in the traditional soapy, stripping sense. Packaging comes in the form of Clarins simple, standard packaging. All in all, a really, really lovely product to use and one I'd definitely recommend if you're in the market for a new cleanser. Have you used this cleanser?